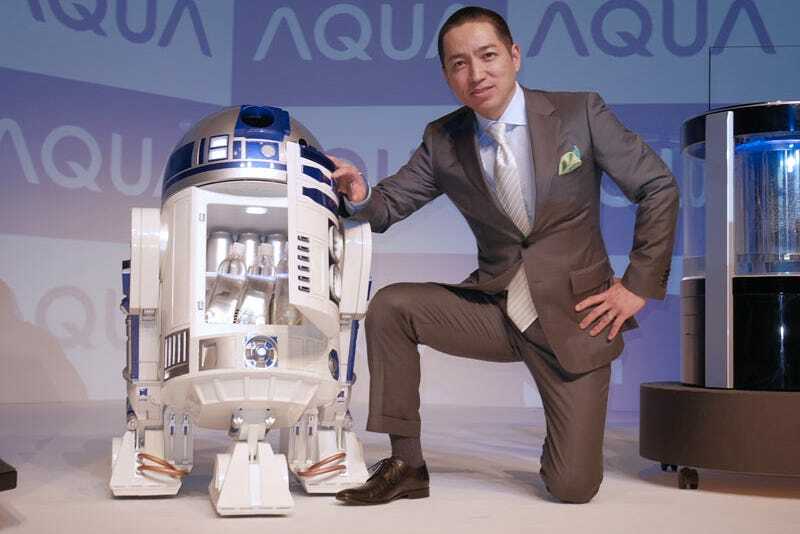 Jabba the Hutt realized that R2-D2 was better suited to serving drinks on his sail barge than being a sassy sidekick to C-3PO, and apparently Haier Asia’s AQUA brand agrees because come 2016 you’ll actually be able to buy this rechargeable remote control R2-D2 mini fridge that comes to you. As Star Wars collectibles and merchandise go, this creation instantly tops that original rocket-firing Boba Fett figure when it comes to desirability. It’s not only a full-size and fully detailed R2-D2 complete with lights, sounds, and movement, it’s also a working fridge! And one that comes right to the couch you’re too lazy to climb out of to quench your thirst. This isn’t just a product for Star Wars collectors, this is genuine innovation for humanity. Who cares if it only has enough capacity to hold only a dozen cans? And who cares if it’s yet another device you have to remember to charge every night? 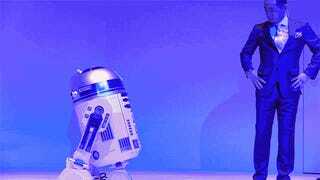 Those are tiny inconveniences when you consider you can finally buy your own astromech droid that actually does something useful. When was the last time you needed help with repairing your spaceship?